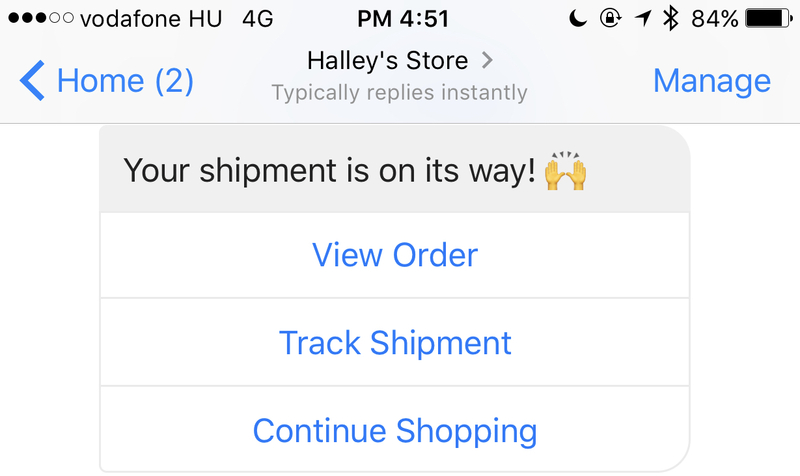 There is no better way to keep your customers updated with their orders than Recart's Fulfillment Notifications. What's the Messenger Fulfillment Notification? 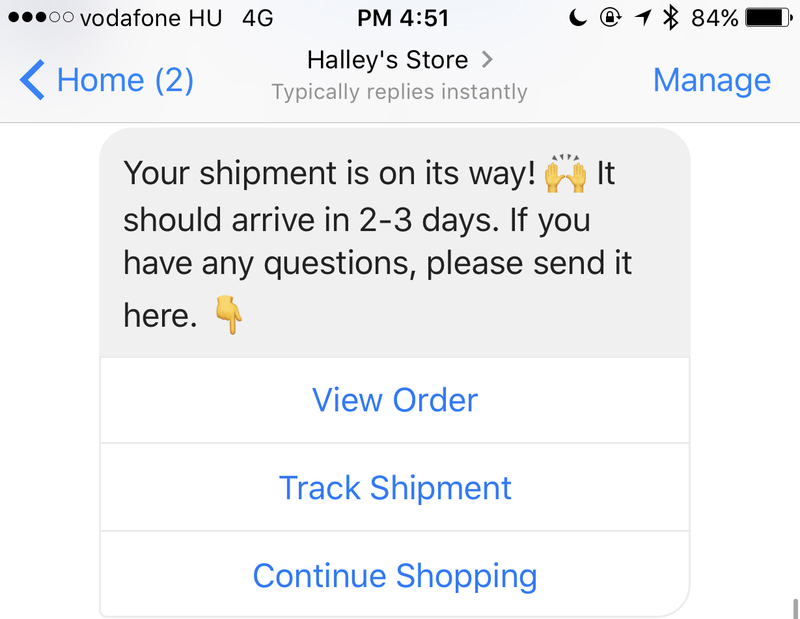 It's an automated Messenger notification sent when your customers' orders are marked as fulfilled. 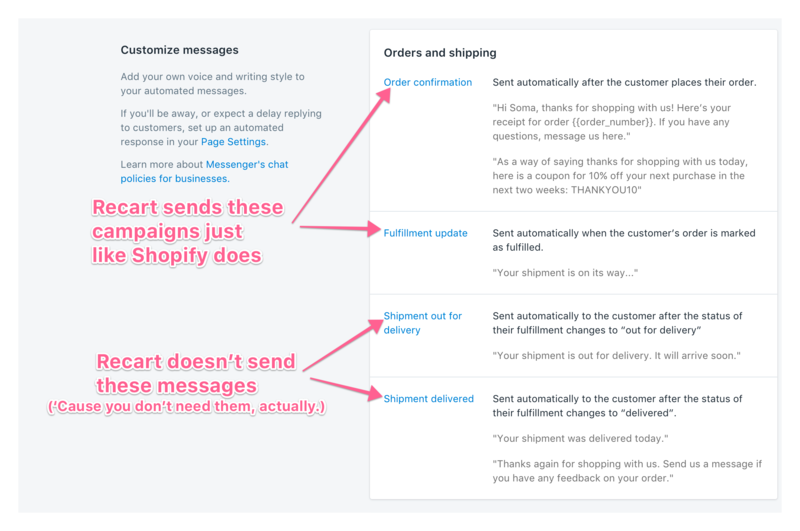 Beyond order & shipping notifications, Recart sends more Messenger campaigns than Shopify, for example, Instant Messenger Campaigns, Abandoned Cart and Follow-up Campaigns. Recart doesn't send the Shipment out for delivery and the Shipment delivered notifications because, for 99% of the stores, it simply doesn't work. Learn more about this here. This Messenger notification is sent when you mark the order as 'fulfilled'. It's important to understand when the fulfillment event happens in the customer journey, so you can give the right information to your customers. Read more about your Shopify fulfillment options here. For most stores, it's best to manually fulfill your orders. This way you can control when they're sent out, and keep track of your inventory. 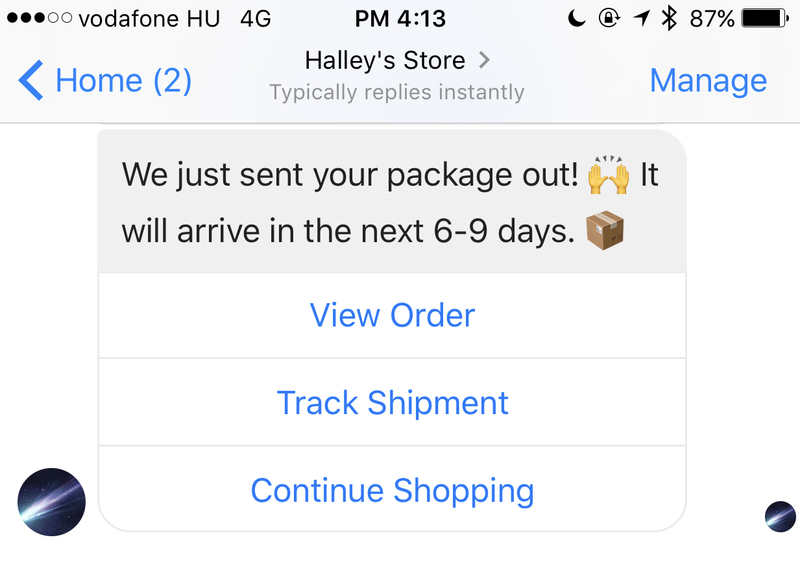 The message should contain the fact that the package is on its way and the expected time of delivery. 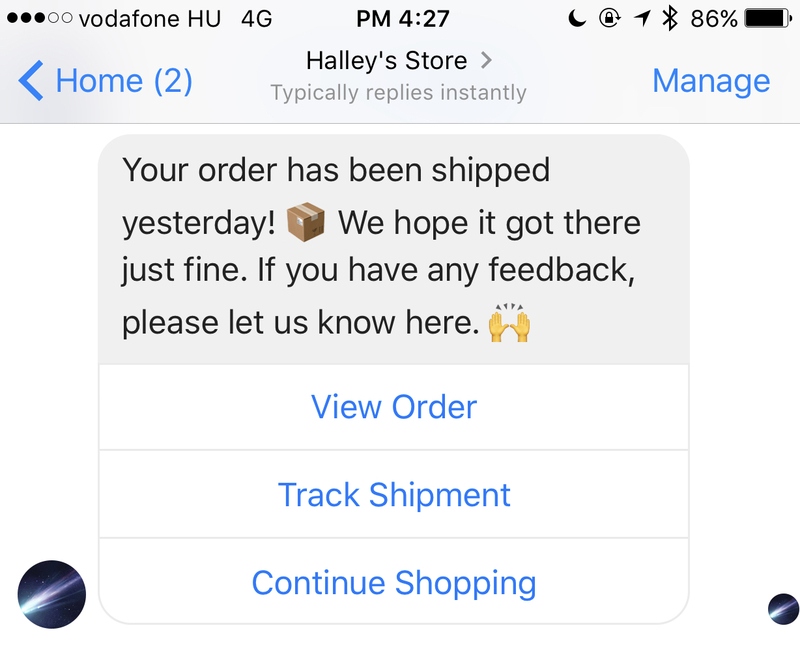 If you use the Shopify fulfillment features and you would like to see more examples, please let us know on our support chat! I hope this article will help you send the best Fulfillment Notification possible. If you have any questions left - as always - feel free to contact us on your Dashboard!